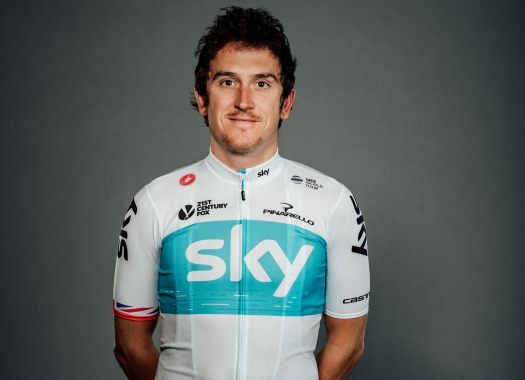 Geraint Thomas (Sky) has finished the 15th stage of the Tour de France at the top of the General Classification. The Welshman looks forward to the rest day before facing the deciding week of the race. Team Sky was in charge of controlling the pace in the peloton throughout the stage and managed to bring Thomas safe and sound to the finish line. "There was quite a bit of wind and it was quite stressful but the guys controlled it really well," said the rider at the end of the stage. "It was the right break for us so we were happy with that. "Then obviously Dan (Martin) went on the last climb of the day. There was 40km to go from the top with 20km of flat and a bit of wind, so it was a big ask. (Romain) Bardet tried on the descent but we were always in control. We just made sure we were there in the front. There was wind in the last 15km but it wasn't enough to do anything, but there was a bit of stress anyway. We were always in the right place and it's a good day to get done." The rider has a lead of one minute and 29 seconds over his teammate Chris Froom and of one minute and 50 seconds on Tom Dumoulin (Sunweb) with one week to go for the final stage in Paris. "I'm just taking each day as it comes. I'm looking forward to the rest day and then we've got a big block in the Pyrenees."